Home » News » MSX Revival » MSX Magazine website launched! Further contents of the book are a small interview, an explanation on how to use MSXPLAYer, and how to run commercial - thus excisting MSX Software - on MSXPLAYer. There will also be articles on BASIC and on how to create games (in BASIC), a comic collection and several columns. 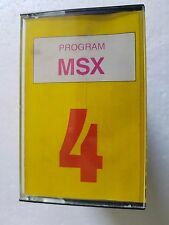 On the site you can also read articles on the history of MSX, and about the demonstration at the WPC Expo 2002. All in Japanese of course ;). The new, official MSX PLAYer logo can be found at the lower right of this table. 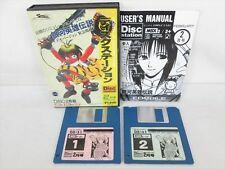 Thanks go to atalurum (ukyo) for mentioning the site on #msx, and thanks to guyver800 for translating the game titles.